It's a shame people are being such sheep about this game. It's a fantastic title and the thing with Alisha is handled quite well in game. People jump to conclusions five hours into the game and get hot headed and thanks to sites like Siliconera it gets spread over to people who've never even played the game and suddenly it becomes a negative hivemind. I feel bad for Rose fans and the designer. They're getting so much heat for absolutely no reason. Hopefully as time goes by people will realize how great this game actually is. It's very fun and well done. 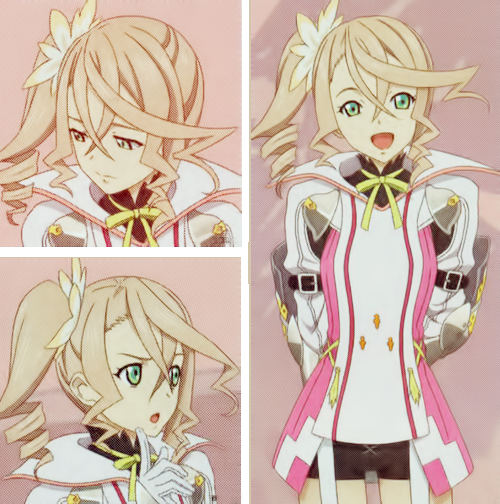 Alisha is an important character within the narrative too. How long she's playable should not be the determining factor on how people judge her, Rose, or the game as a whole. I just hope they continue this line. All four of the main females in this game are amazing characters and I love them all. I must have figures for Rose, Lailah, and Edna. I can't help but just love her expressions to death! They're so cute! Today, 17799 yen on Amazon Japan. Selling her for $130 USD if anyone is interested. Brand new. Shipping is not included. Currently selling her for $120 free shipping anywhere in the U.S.
For sale $150 incl shipping and Pay Pal fees. Just PM for more details.